Rahul Gandhi is contesting from Wayanad parliamentary constituency began his campaign in the state on Wednesday by offering prayers at the Thirunelli Temple. 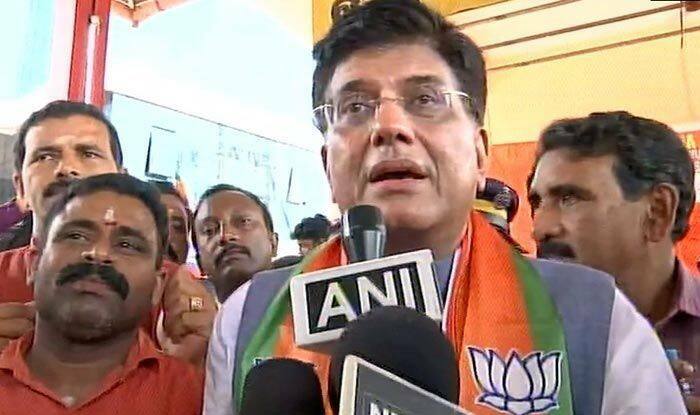 New Delhi: Union Minister Piyush Goyal on Wednesday mocked Congress Rahul Gandhi for choosing to contest from Kerala’s Wayanad as well. The Congress President began his campaign in the state on Wednesday by offering prayers at the Thirunelli Temple. “I have not come here as a politician who is going to tell you what to do or what I think. I am not here to tell you my ‘Mann ki Baat’, I am here to understand what is inside your heart, your soul,” said the Congress President. Rahul would also be addressing rallies in Kozhikode, Wandoor and Palakkad.